Bring the ultimate Best Home Furnishings recliner to your home for superior comfort and the perfect seat. It features a rounded eye catching design with chaise reclining offering head-to-toe comfort. Pillow padded arm rests are featured as well as a single line tufting for style and comfort. 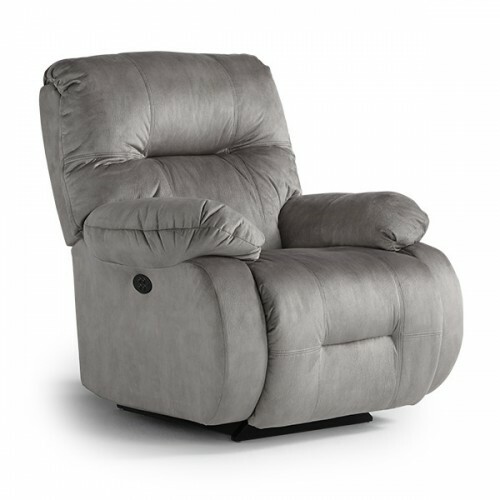 Customize the best seat in your home by choosing from a Pressback Rocker Recliner, Wallhugger, Swivel Glider Recliner, Rocker Recliner or a Swivel Rocker Recliner. Upgrade by choosing our Power Rocker Recliner where at the push of a button you can recline to infinite positions.